Roots rock band Sallie Ford And The Sound Outside might hail from Portland, but that doesn’t mean they all make furniture and own bed and breakfasts. Rather, they make their living these days by churning out rockabilly-infused, raw ‘50s-style rock and roll. 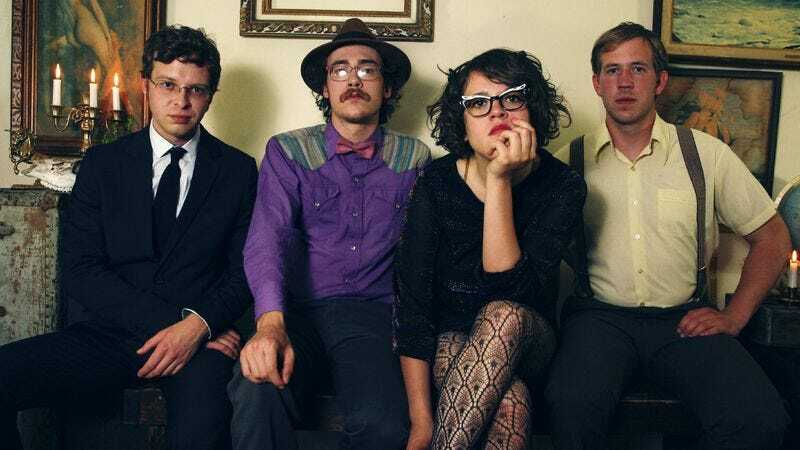 The group just released its first record, Dirty Radio, a couple of years ago, but has opened for The Avett Brothers and played on the Late Show With David Letterman. Jack White and Deer Tick are both fans, and the group’s about to kick off a tour with Thao And The Get Down Stay Down. The band’s new LP, Untamed Beast, isn’t out until Feb. 19, but The A.V. Club has an exclusive stream of the whole thing available right now. Listen below and feel that retro groove.